An awkward pall hung over the April 4 premiere of Disney’s The Jungle Book reboot. Hours before CEO Bob Iger, 65, walked the red carpet in Hollywood, the company had revealed that his heir apparent, COO Thomas Staggs, 55, will step down. The move, which left many at the premiere shocked, threw a carefully choreographed succession plan into disarray as Iger’s contract expires in June 2018. Disney isn’t talking, but insiders and observers have theories. The Facebook COO has served on Disney’s board since 2009 and, according to some, has made it known she would like a CEO position that likely never will become available at Mark Zuckerberg’s company. While Sandberg, 46, lacks traditional Hollywood experience, she is savvy in digital media, which could be crucial as Disney faces a declining cable business. Some insiders say Disney board members ultimately believed Staggs, who came from the company’s parks division, lacks the creative experience in TV or film needed as CEO. “This would speak to the Disney board’s view of the importance of these businesses,” says Macquarie Group analyst Tim Nollen. Many have focused on the possibility that Disney will look outside the company for a new leader (Chase Carey? Steve Burke?). But there are internal contenders, too. Bob Chapek, 57, who replaced Staggs atop the parks unit and once ran consumer products, is considered an Iger favorite, as is Ben Sherwood, promoted in 2015 from running ABC News to co-chairman of Disney Media Networks. Sherwood, 52, certainly has creative experience. Running parks from 2010 to 2015, Staggs was the primary executive on Disney’s Shanghai resort, one of Iger’s key legacies. Disney and its China partners had planned to open the $5.5 billion park by the end of 2015, but they pushed it to June, when portions reportedly still will be unfinished. In addition, Disney’s parks division was the source of a major PR flap when it allegedly laid off 250 tech workers at its Orlando resorts in 2015 and replaced them with foreign workers using H-1B visas. Some of those laid off are suing, which is said to have enraged Iger. It could be that simple. Iger’s post-Disney plan was set to include helping build an NFL stadium in Southern California for both the Raiders and Chargers, and he’d have an ownership stake in one. But the NFL rejected the proposal in favor of a rival plan, leaving Iger with one fewer option after he’s through running Disney. Tom Staggs faces the unique challenge of filling a role that the world’s biggest media company has done quite well without for a decade. When he was named chief operating officer of Walt Disney Co. a year ago, he took on a job that was last held in 2005 by Robert Iger, before he was promoted to chief executive. Now Mr. Staggs is the leading internal candidate to succeed Mr. Iger, who has said he will retire in 2018. 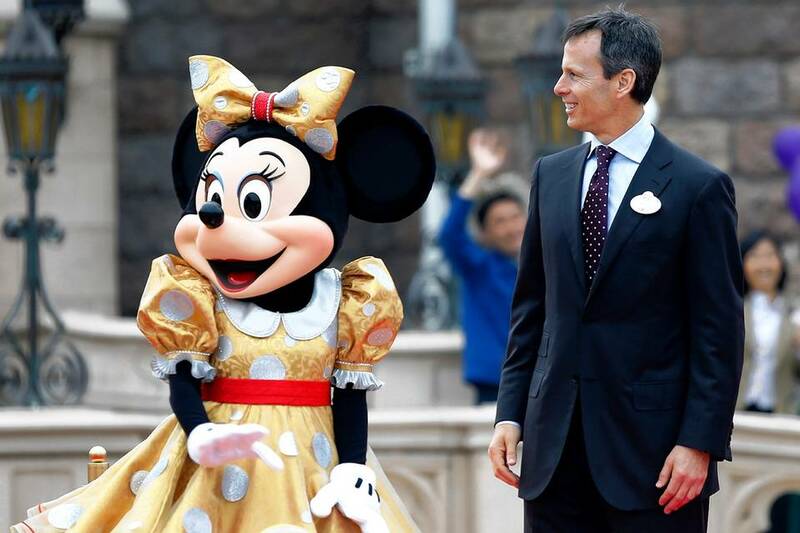 A 26-year Disney veteran who before becoming COO most recently served as chairman of the company’s parks and resorts business, Mr. Staggs has remained quite involved with the $5.5 billion Shanghai Disney Resort, which opens June 16. He is also significantly involved in planning for the future of television at Disney, a key question for the company since its stock began tumbling last August when Disney said that profit growth for its cable business, led by sports juggernaut ESPN, would be lower than expected. The Wall Street Journal spoke with Mr. Staggs at his office, across a lobby from Mr. Iger’s, at Disney headquarters in Burbank, Calif. Edited excerpts follow. WSJ: Are there specific tasks you have taken on as COO? 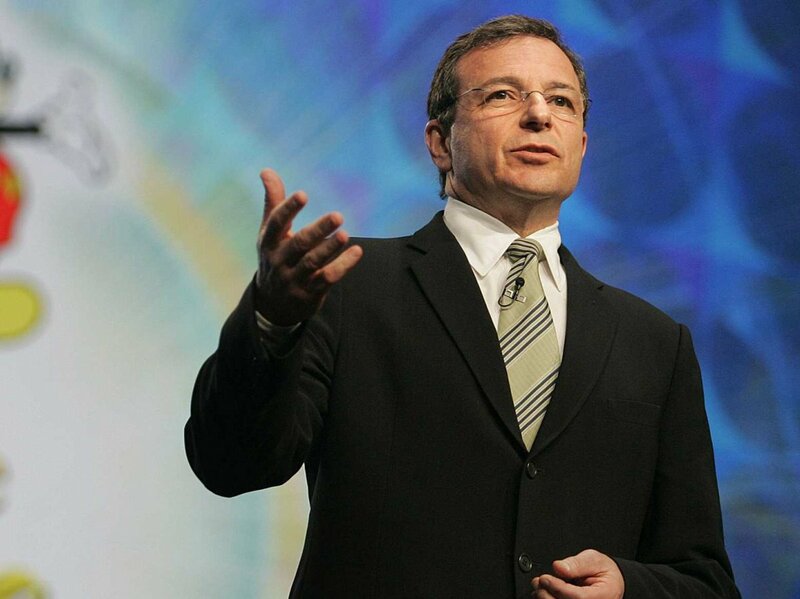 How have you and Bob Iger divided responsibilities? MR. STAGGS: It’s basically a dual-report system across all the businesses. Our approach has been somewhat fluid, making sure that separately or together we’re focusing on businesses and projects as need be and to be the most effective we can be. WSJ: How will you measure success in Shanghai? MR. STAGGS: We’ll really be looking forward to the initial reception, but at the same time we build these parks for generations. We won’t judge where we are a week out, a month out, or even a year or two out. Clearly we are planting an important flag for the Disney brand in China. We want to make sure people recognize the quality of what we provide. And hopefully it will be an aspirational kind of experience for people in China the same way it has been aspirational for people here. And therefore it represents the brand in a way that is broader than just that individual park. WSJ: To what extent are you concerned about the state of the economy in China? MR. STAGGS: This is a very long-term proposition, so what’s going on in the economy at any given moment is not a big concern for us. We look at the trends over the long term and continue to be as bullish as we’ve ever been in terms of the number of income-qualified people, the prospect for continued growth of the middle class in China, etc. WSJ: What has been taking a lot of your time outside of the parks business? MR. STAGGS: I have spent a great deal of time on media networks recently, focusing on the future of television. WSJ: Is TV moving toward a more direct relationship with consumers? Does that require a change of thinking? MR. STAGGS: It’s not so much a change of thinking. For the past few years, our business has been leaning toward the brands and products consumers seek a relationship with. There is an increasing opportunity to take advantage of the strength of those brands and to reach consumers more directly. We just mentioned on our last earnings call, however, that we think for the foreseeable future the bundle of programming is going to be the predominant way people get their television. Some people might view that as a contradiction. It’s not. That bundle can be strong even as we’re taking advantage of opportunities to have direct relationships with consumers. WSJ: Clearly there are benefits across Disney from owning Marvel or “Star Wars” that few other companies can match. And that may be only more true in the digital world. Is the same true of ESPN, or is that more of a stand-alone business? MR. STAGGS: One of the things this company does well is nurture and manage high-quality branded franchises. The nice thing is, quite a lot of them are highly interconnected in terms of cycling through many of our businesses. But as a high-quality branded entertainment franchise, ESPN has real synergies with the rest of what we do and our expertise as a company. WSJ: What are the most important synergies? MR. STAGGS: Understanding how to manage a brand is not simple. There’s ESPN The Magazine, on television, radio and digital. Managing all of those touch points is not a simple construct, and it’s something we happen to do well. By having that scale, we have been able to invest in a technology platform that allows us to publish across all those areas seamlessly. Also, I believe if you look forward as we increasingly establish those direct-to-consumer relationships, that expertise in consumer engagement will be a skill set that’s transferrable around our business, even if you’re not handing off an ESPN consumer to other Disney businesses. WSJ: As you package Disney content in different ways online, do you see it all going together, or is the Marvel consumer different from the animation consumer and so on? MR. STAGGS: We find it’s not sliced as finely as your question might imply. People tend to like Disney. They have their favorites, to be sure. Generally, if you’re a big fan of “Frozen,” that leads to a desire to engage the characters, the music and the franchise in other ways. We want to make sure there are as few barriers to that deeper engagement as possible. That’s one of the tricks in designing the notion of what’s direct-to-consumer, what’s in movie theaters, what’s in [cable] bundles, etc. 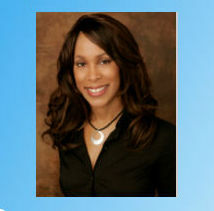 Disney/ABC Television Group shook up its leadership Wednesday, naming Channing Dungey as its new president of ABC Entertainment, making her the first black person to ever lead a major broadcast network. “Channing is a gifted leader and a proven magnet for top creative talent, with an impressive record of developing compelling, breakthrough programming that resonates with viewers,” said Ben Sherwood, co-chair of Disney Media Networks and president of Disney/ABC Television Group. Dungey replaces Paul Lee, who stepped down from the position. Some industry pundits said Lee has clashed with Sherwood in the past. She went on to work as senior vice president at the Material film production company, becoming president in 2001. She joined ABC in 2004. 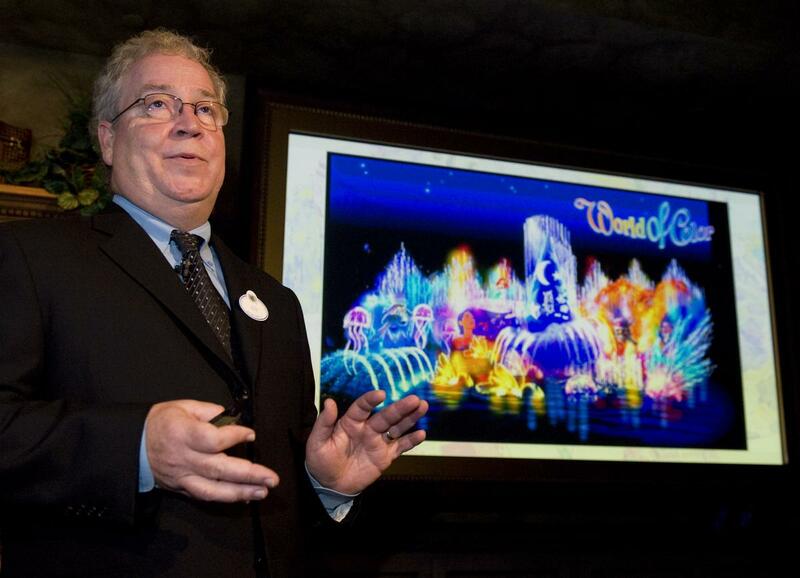 The Walt Disney Company has named Bob Weis the new president of Walt Disney Imagineering, the arm of the company that oversees the design of its theme parks, cruise lines and resorts around the world. The appointment was announced in a memo today by Bob Chapek, chairman of Walt Disney Parks and Resorts. Weis is heading up the company’s efforts for the Shanghai Disneyland Resort. 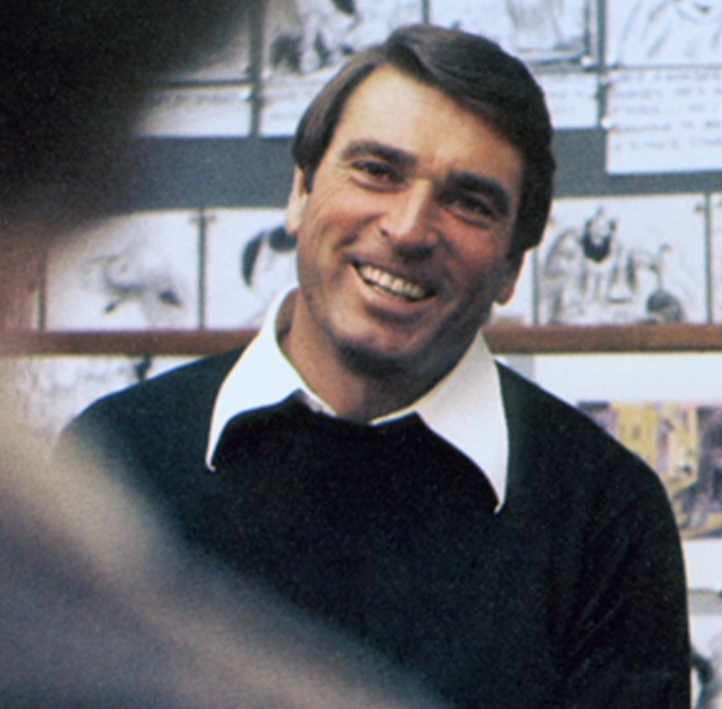 Before that, he was the creative lead on the expansion of Disney California Adventure, which culminated in the addition of Cars Land at the theme park. He was also the creative lead on the Disney/MGM Studios, now called Disney’s Hollywood Studios, that opened at Walt Disney World in 1989, and oversaw the development of the Tower of Terror. Weis also worked on Tokyo Disneyland in the early 1980s. He left the company for a while, and worked with others on a variety of projects. Bruce Vaughn, the former Chief Creative Executive at WDI will help Weis with the transition, before leaving the company to explore other opportunities. Craig Russell has served as a co-executive leader of the company, and will take on a new role focusing on project execution and integration around the world, according to the memo from Chapek released by the company. The honor makes Iger one of 70 recognized by the trade association, including “Muppets” creator Jim Henson and “Star Wars” godfather George Lucas. The Hall was created in 1984 and Iger will become the newest member on Feb. 12, when the association holds its annual Toy of the Year awards celebration at the American Museum of Natural History in New York City. 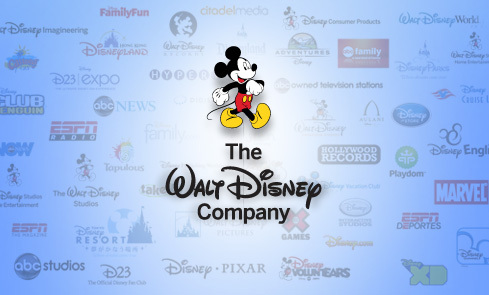 The organization cited Iger for running the world’s largest media company and creating “adored brands around the globe.” Disney already had many winning franchises, but expanded them markedly with the acquisitions of Pixar (2006), Marvel (2009) and Lucasfilm (2012), the association noted. The group said that Iger has also assured Disney’s toys were available across multiple platforms. 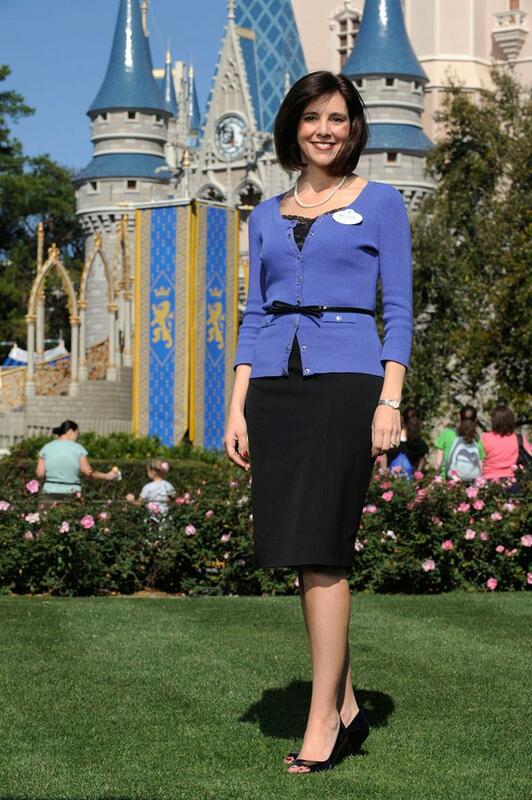 Epcot’s Vice President Sam Lau is leaving Epcot for a newly created role in Asia. Lau had been in that role for just over a year. Lau is being succeeded by Melissa Valiquette, with Sam taking up the position of Vice President for New Program Development, Asia.